INDIANAPOLIS, Ind. – The Humane Society of Indianapolis is no longer labeling the breed on a dog's identification card at the shelter. That includes so-called bully breeds, like pit bulls, Rottweilers, German Shepherds or Dobermans. Dozens of dogs sit at Indy Humane waiting to find a loving home, their genetic makeup truly a mix. Staff often offer a "best guess" as to the breed and put it on the card attached to the cage. "We don't know what most of these dogs are," said Connie Swaim, Director of Canine Training, at the Humane Society of Indianapolis. "We want people to fall in love with the dog. We don't want you to look and the first thing you go is, 'I'm afraid of German Shepherds, or I'm afraid of boxers.'" Swaim said shelters across the country have taken the more progressive, personality –driven approach. Staff at Indy Humane talked about it for roughly a year, and then started weeks ago. "What we found was, we hear people all the time go into the kennel and go, 'that's an X breed,' or 'I don't like that. My neighbor said X breed is a bad breed,'" she said. Dogs are now classified by their personalities, with titles like bashful, athlete or class clown. At Indy Humane, every dog goes through a behavior assessment, before being up for adoption. "We want people to make a connection with that dog, and then ask us 'what do you think that dog is,'" she said, "Obviously, we know if a person rents, we're going to talk to them if we think the pet they're adopting could be assumed by people to be one of those breeds." Swaim said many people make a snap judgment when they see a dog could be a bully breed. Those breeds are widely assumed to be more dangerous. In fact, some landlords won't allow them, and some insurance companies won't provide homeowner's coverage in a home with bully breeds. We caught up with dog owners at a dog park in Broad Ripple, who favor Indy Humane's approach. "I've known plenty of dogs that are bully breeds that are absolute compassionate well trained dogs. I can see how people are a little weary of them because of housing situations, homeowners insurance can go up with those breeds," said Lindsey Roscoe, a dog owner. "As long as it's a good home match and people are ok with the dog and how it acts, there shouldn't be a problem with not labeling the dog initially," said Shawntee Fehribach, a dog owner. 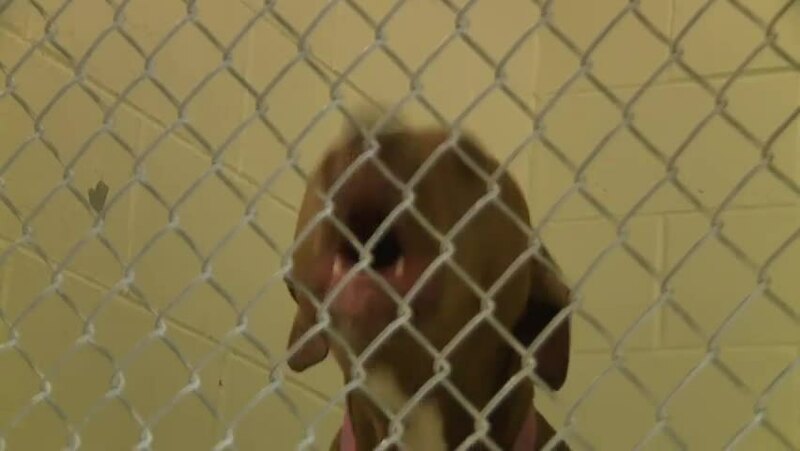 Swaim said dogs will still have a breed listed online, just not in person at the shelter. They'll look back in a few months and see if the new policy is getting results. "What we want to see is these dogs getting out of here faster and not being held up because of something they don't deserve," she said.